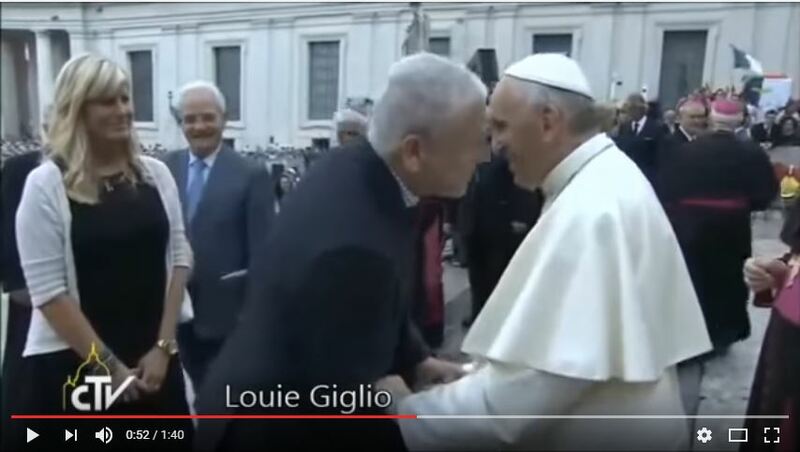 Passion's Louie Giglio Greets Pope with "Holy Kiss"
Ecumenism of a dangerous, virulent sort was exhibited at the recent Passion Conference. (For more on Passion, go HERE.) The joining together of known false teachers and those who have been previously seen as reliably orthodox is not a thing to be lauded, but a warning sign to be seen. It is a sign of the lowering of doctrinal standards. It is a sign of acquiescing to the spirit of tolerance which deceptively rules the age. And, it is a sign of the self-perpetuating downgrade of the visible church. A video of the “holy kiss” meeting of Giglio and Francis is provided below. Starting at the 00:49 mark, Louie, then his wife Shelly, are granted a greeting with the pope. Regrettably, those “certain people” are no longer creeping in unnoticed. For 50,000 millennials at the Passion conference, $209 could buy a ticket to see them.